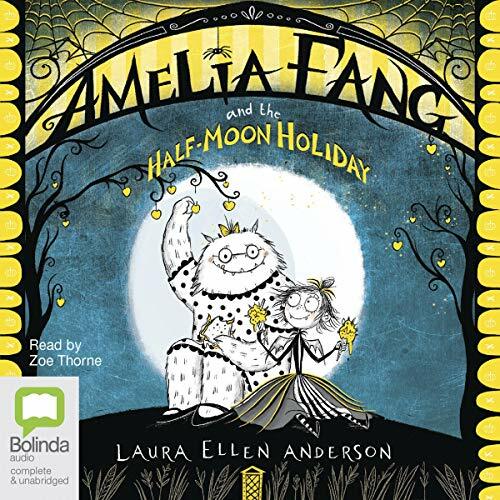 Showing results by narrator "Zoe Thorne"
It’s the half-moon holidays in gloomy Nocturnia, which means no school for Amelia and her friends! Instead they are going to spend it with their Rainbow Rangers troop (led by unicorns Ricky and Graham), earning badges on Sugar Plum Island. But whilst exploring, Amelia and the gang stumble upon an ancient curse - and are shrunk to the size of bugs! 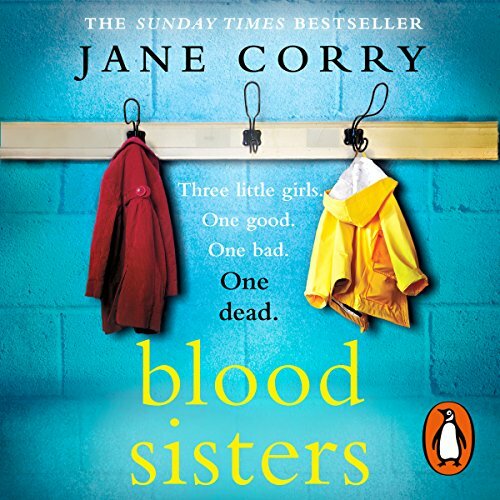 How will they make the bloodcurdlingly big journey to break the curse when they are all so very tiny? 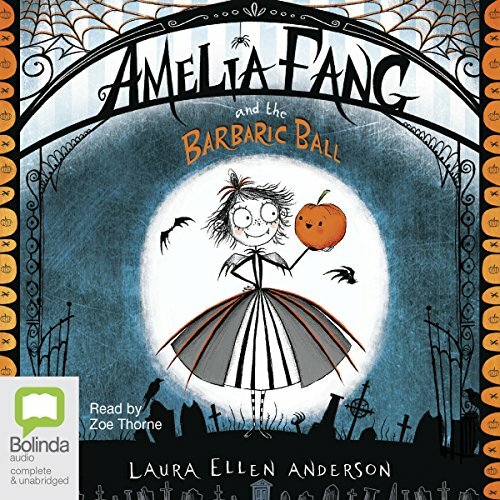 A gorgeously Gothic, wickedly funny series from Witch Wars illustrator Laura Ellen Anderson. Amelia Fang is the biggest hearted vampiress you'll ever meet. In this adventure, she and her friends Florence the yeti (don't call her beast), Grimaldi the Death and Prince Tangine (reformed spoiled sprout), along with her pet pumpkin, Squashy, must brave the journey to the terrifying Kingdom of the Light to try to find Tangine's missing mother, Queen Fairyweather. 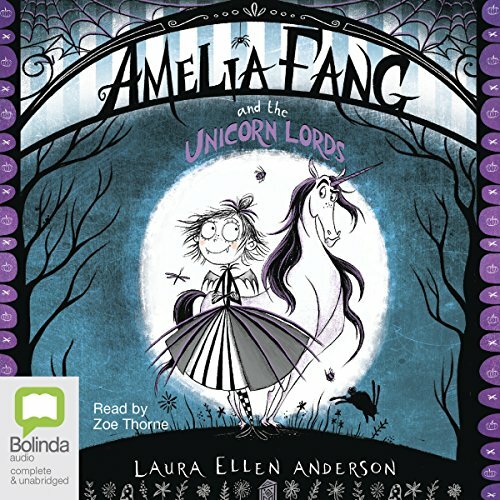 A gorgeously gothic, wickedly funny new series written by the illustrator of Witch Wars, Laura Ellen Anderson. Welcome to the world of Nocturnia, where darkness reigns supreme, glitter is terrifying and unicorns are the stuff of nightmares! Amelia Fang would much rather hang out with her pet pumpkin Squashy and her friends Florence the yeti (don't call her Beast!) and Grimaldi the reaper than dance at her parents' annual Barbaric Ball. 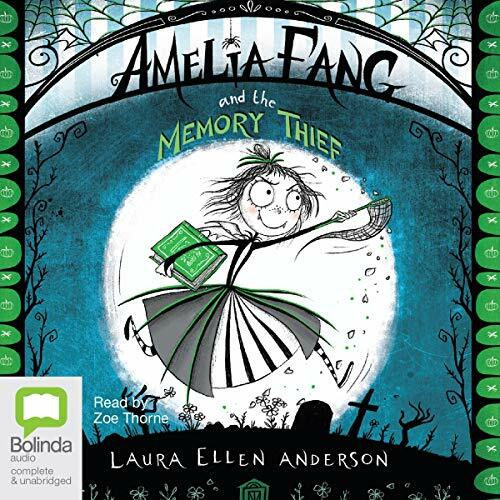 A brand-new title in the best-selling gorgeously Gothic and wickedly funny Amelia Fang series. Meet Amelia Fang! Everyone’s favourite little vampire. Amelia and her friends are taking part in a competition to visit Pumpkin Paradise Park - the most bloodcurdingly brilliant theme park ever! All they have to do is sell as many cookies as possible. But the creatures of Nocturnia have begun to act very strangely.... No one can seem to remember anything - including their own names or even Amelia’s big birthnight party!